Time for something fun! We got these yummy crackers from Edward and Sons. 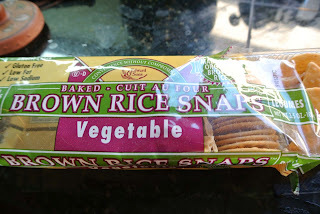 Gluten Free Brown Rice Snaps that have yummy vegetable seasoning. I wanted to do a fun Canape with these. I think I was successful! Not only were they cute, everyone loved them! I will be making more next time. I didn't get to try one. Our house quickly filled up with the usual suspects and I was thrilled that many self proclaimed vegetable haters, actually loved them! They were gone before I could blink. Living gluten free just keeps getting easier and easier! Follow with tomatoes and olives. Use my picture as your guide if you get lost. 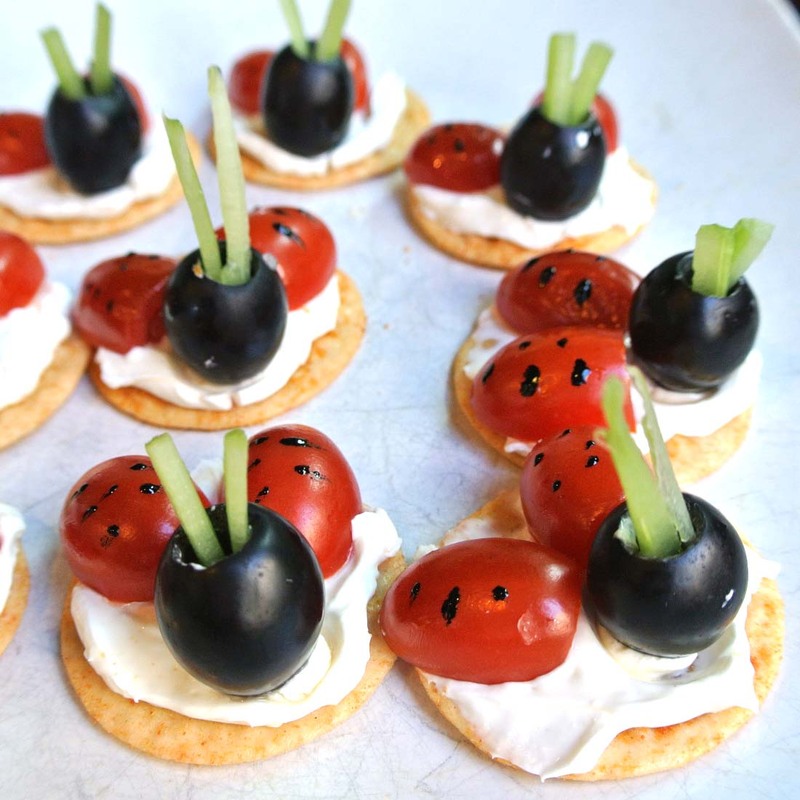 Put the celery into the olive holes to pretend to be antennas. Using a toothpick I dotted black food dye. Love these, very cute indeed! Those are so adorable I don't know if I'd be able to eat them! 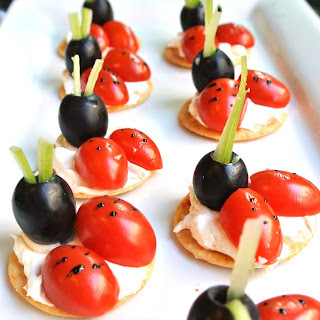 Awesome appetizers! These look great too! Did you think of trying a balsamic reduction for the spots? It could add a nice dimension to the flavor. Congratulations on top 9!! That is a great recommendation! I will do that next time. These were last minute and that is why I used the dye, but you are right, balsamic reduction would be amazing on it!